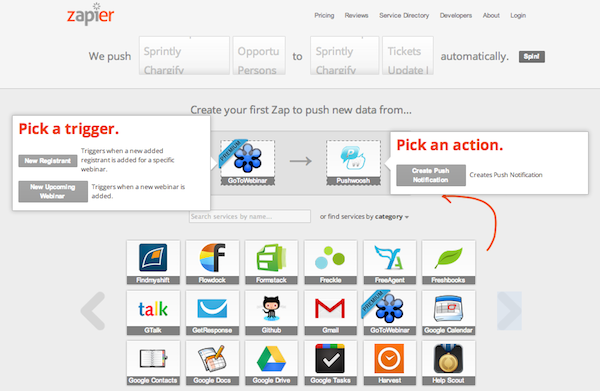 Did you know that you can select Pushwoosh as your service at Zapier? 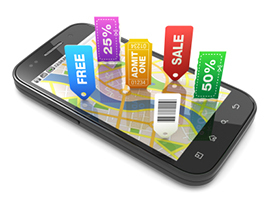 If you do not want to create your own backend, but you would like to simply the hassle of all of your web apps talking to each other, you can pick two of them and trigger an event if one of them following an event in the other. For instance, you can set up push notifications being sent automatically upon creation of a new webinar in your GoToMeeting account. You can now connect Pushwoosh to over 100 services and there is no coding required. We believe that easy and elegant solutions like Zapier are the next generations of services which will save time and efforts for many of our customers! Good news, everyone! PhoneGap users together with our team should feel very special now, since there is a second blog post in a row made by **Holly Schinsky **on Pushwoosh integration for PhoneGap.